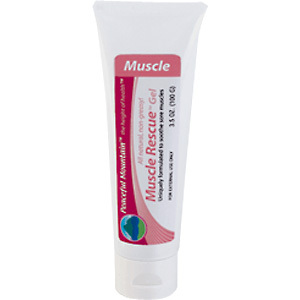 Traditionally, the herbs in Muscle Rescue have been used to relax muscles and allow for the release of tension and blockage so that proper flow can clear the residuals from over use. They have been used for their analgesic and muscle fiber mending qualities to relieve pain and ensure sound repair. This water-based gel absorbs quickly into the affected region, is non-greasy, unscented and will not stain clothes. Arnica, Witch Hazel, White Willow, Comfrey in a water-based gel. Muscle Rescue - is shipped in a discrete, unmarked package. Orders are processed immediately and usually take about 3 to 5 working days to be received. We do ask that you try it for 2 to 3 weeks to feel the full effects. Any information received is used only for order processing and shipping purposes. Your information, such as e-mail address, will never be disclosed to a third party.